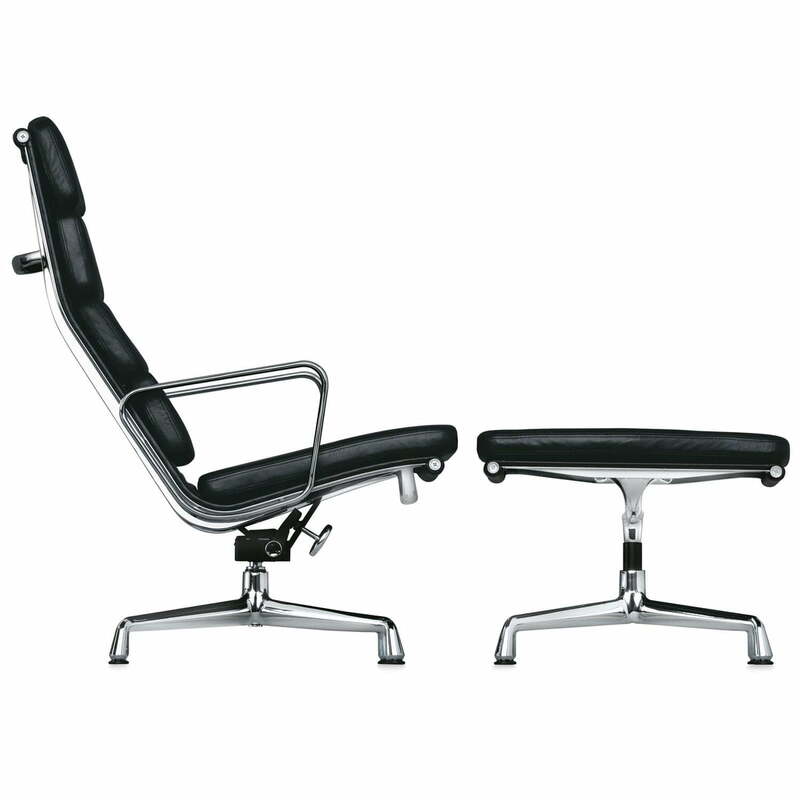 Charles and Ray Eames designed the Vitra Soft Pad EA 222 already in 1969. 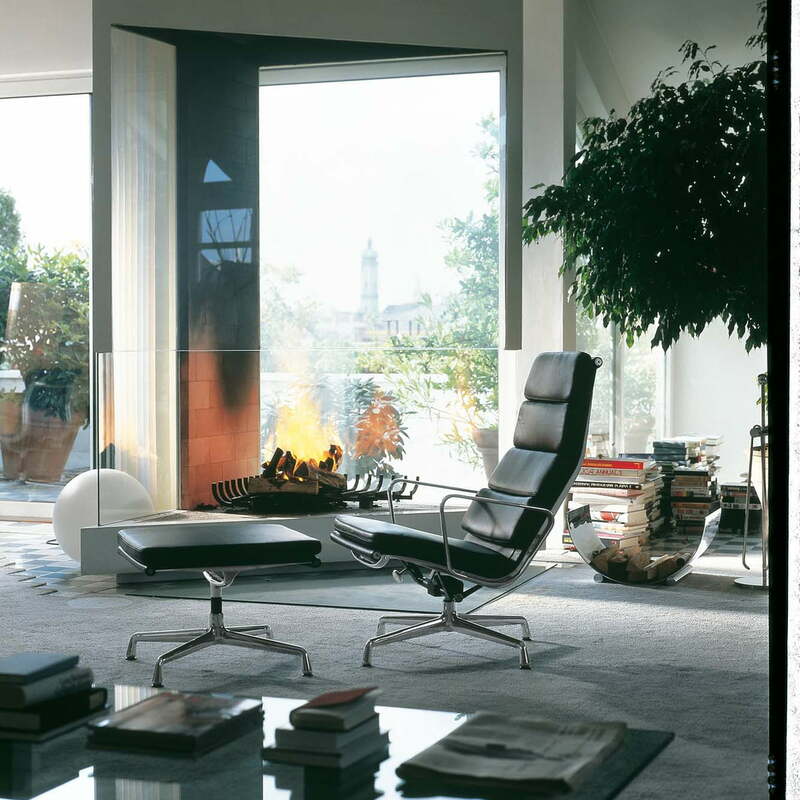 The comfortable and still clear EA 222 armchair develops an exciting contrast between belly leather and thin aluminium. 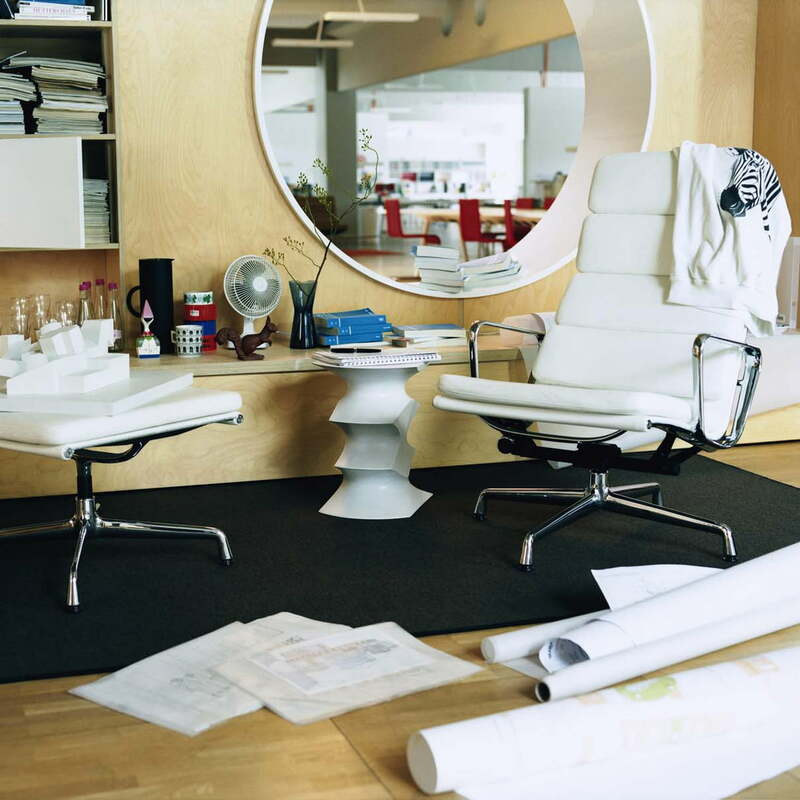 The Vitra Soft Pad EA 222 is similar to the Aluminium Chair in its form and construction. This is how the Soft Pad Chair is soft and belly without losing its transparency and clearness. Charles and Ray Eames designed the Vitra Soft Pad EA 222 already in 1969 and it didn’t lose any of its conciseness until today. More than that, it became an icon. Whether combined with the EA 223 stool or alone – the Soft Pad EA 222 is a statement. 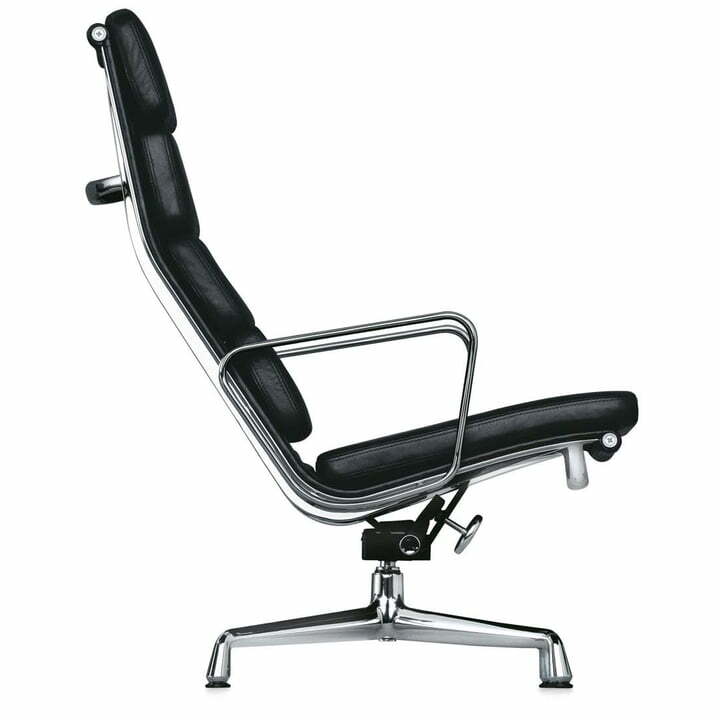 The lateral profiles, tension rails and feet of the classic Chair consist of chromed aluminium die-casting. 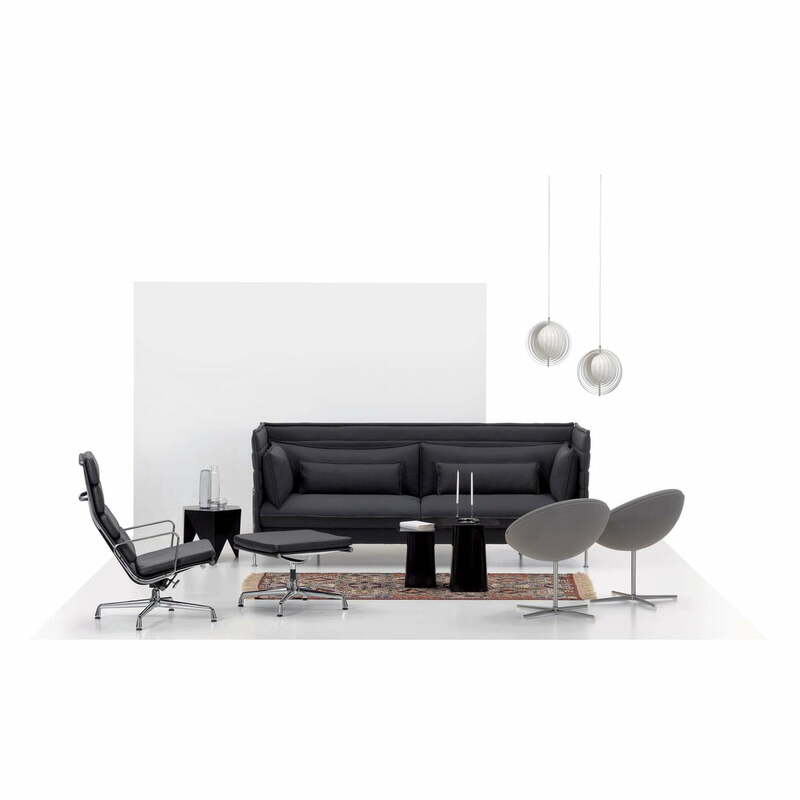 The coating of the Vitra Soft Pad EA 222 is made out of high quality black leather. Vitra produces the Soft Pad program since decades and in unchanged high quality.